On this episode of The Practice Marketing Podcast, hosts Garrett Smith and Don Lee discuss communicating and educating current and prospective patients with email marketing. As one of the easiest and most cost-effective ways to market your practice, Garrett and Don give an overview of how you can use email marketing throughout your practice. For more information about this episode, and the complete show notes, please continue reading below. Segment #1 – What is email marketing? According to the email marketing firm ExactTarget, over 91 percent of all American adults check their email accounts every day – that’s only slightly behind the 98 percent who check their physical mailbox on a daily basis, as reported by the US Postal Service. Email marketing can take a number of forms, but in simplest terms, it’s using email as a medium to market yourself and your practice. With email, you can send newsletters, appointment reminders, review solicitations, surveys, and even post treatment instructions. Email marketing is currently the easiest and least costly way for you to market yourself and your practice. As we alluded to, you can do a lot with email. You can automate patient alerts, send educational communications, and even things such as appointment reminders. Email marketing can help save time, cuts down on human errors, and even boost your practice profit/revenues. You can also use email marketing to effectively cut through online noise when it comes to your practice’s messaging to your patient population. With email marketing, your audience is captive and your messages are heard without competing directly with other health content. Email is an extremely versatile channel which you can use to automate mundane communications, educate your patients, and even remind them to come in on time for their next appointment! If you’re looking to get started with email marketing, the first thing to do is to make sure your data is accurate. Remember, your email marketing efforts are only as good as your list! Now you can determine what types of emails you want to send; whether it’s a monthly newsletter with educational information, discounts on services, or you want to automate appointment reminders. Regardless of the types of email marketing you undertake, you will want to make sure your emails are personalized, and take into consideration that patients are likely to view them on their mobile phone. One important note on this front is to make sure to offer patients the ability to choose which emails they receive from you and the practice. Oftentimes, patients feel overwhelmed by the number of commercial messages they receive, but still want to get your educational newsletters. Offering your patients the ability to choose which communications they wish to receive (or continue to receive) is a great way to improve your patients’ email experience while keeping your email list growing. Your practice can get started with email marketing simply by making sure you have an accurate list of email addresses for patients who have agreed to receive communications from you and the practice. Once you have your list, it’s up to you to choose the types of emails you want to send. Garrett Smith: 00:00 Hey, everyone, Garrett here. For more information about communicating and educating with email marketing, check out chapter eight in “Book Now: Internet Marketing for Healthcare Practices”, available at healthcaremarketingbook.com. Don Lee: 00:12 Hey, Garrett. All the leading online marketers say that I need a great email list, but less than 50% of doctors are emailing their patients today. That sounds like a huge missed opportunity, am I right? Garrett Smith: 00:24 On this episode of the “Practice Marketing” podcast, you will learn, what is email marketing? Why your practice should use email marketing, and how your practice can get started with email marketing, if you haven’t already. Speaker 3: 00:37 Are you looking to take your practice to the next level? Well, you’re in the right place. 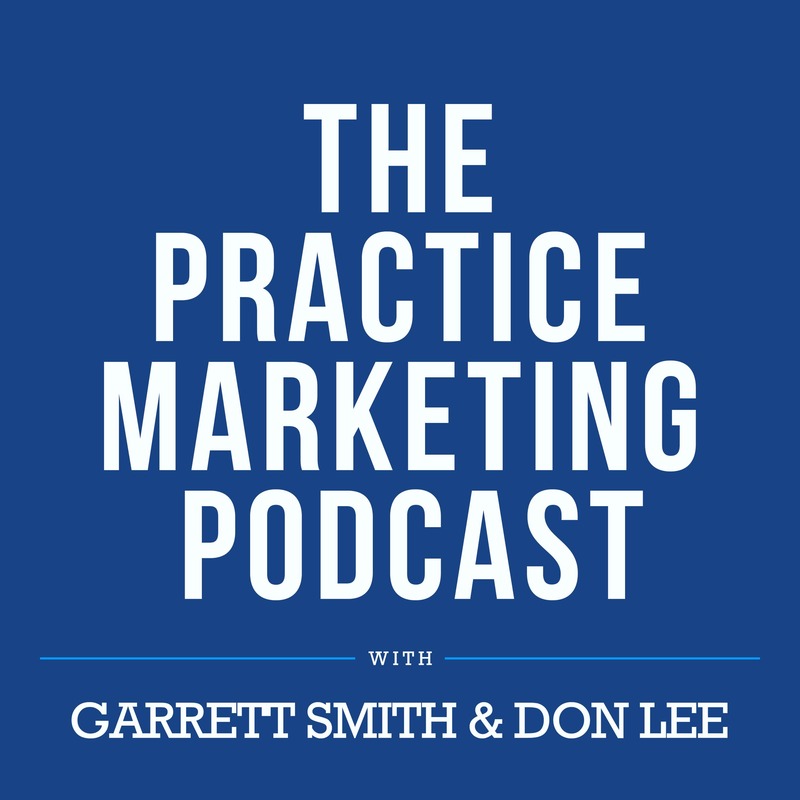 Welcome to the “Practice Marketing” podcast, with your host, Garrett Smith and Don Lee. Garrett Smith: 00:50 Hey there. Welcome back. This is episode number nine of the “Practice Marketing” podcast, communicating and educating with email marketing. I’m here, your host Garrett Smith, my cohost Don Lee. Don, we’re about two thirds of the way through our first season here, and today, we’re going to talk a little bit a- more about email marketing. Don Lee: 01:08 Yeah, it’s a great thing to transition into, for sure. I think we’ve laid a lot of the framework and groundwork, if you will, for setting up a powerful marketing campaign or just a marketing system for your practice and, you know, as I said in the opening there, if you listen to any online marketing professionals, it doesn’t matter what business line they’re in, they all say that there is no debate, that the email list is key. And, I’m glad that you’re going to tell us all about that today, Garrett. Garrett Smith: 01:34 Yeah, absolutely. So, I want to kind of talk a little bit about that and, and why so many people say, “Look, you, if you’re doing anything online, if you’re doing any sort of internet marketing, you should really work on your list, right?” And so, the reason for that is, about 91% of adult Americans check their email every single day, and that’s just behind the 98% who check their physical mailbox. So, today, email is about as ubiquitous as the snail mail that, uh, most of us grew up with. Garrett Smith: 02:04 And so, I think with so many people using email, it’s a missed opportunity, because what we’ve found is that about half of all practices are not sending any emails. And so, you know, the problem with that is not just that people are using email and doctors aren’t. It’s that email marketing is something that is kind of misunderstood. Garrett Smith: 02:24 You know, when we’re talking about email marketing, we don’t just mean sending an email to a patient or responding to a schedule, their appointment request that they sent in via email from your website. You know, email marketing really takes numerous forms, and really, it’s a great way to market your business in, through a channel that it has a captive audience, right? You’re not really competing in the inbox as much as you may be in the search results, or in the social media feed, or even the local newspaper or on radio. Garrett Smith: 02:52 And with email, you can send newsletters. You can do appointment reminders. You can solicit reviews from your patients. You can send them surveys, and even post-treatment or service instructions that will help them achieve a better clinical outcome. Even more so, when you think about the opportunity, email marketing is currently the easiest and the lowest cost way for you to market yourself in your practice, right? Garrett Smith: 03:17 And so, when you start to think of, you know, what is email marketing, right? Just simply know that you’re using email as a medium to market yourself and your practice. The reason you want to do that is essentially everyone is checking their email on a daily basis, so it’s a great way to reach them, and it’s also easy and very cost-effective for practices of any size. Don Lee: 03:39 So, the first objection that I think or I would expect you would hear here is that I don’t like getting email, and, and I’ve heard this, and in fact, I’ve said it before, is that I don’t really like being on email lists, so that makes me not really want to put that out there in the world. And I could, you know, I’ve said that, and, and sometimes I still think that, but I, what I’ll say is, I don’t like being on bad email lists. There is several email lists that I’m on that I actually get pretty excited when I see them come through, because I actually get value out of them. Garrett Smith: 04:13 Yeah, first and foremost, Don, my response to that is, and usually that question in any sort of context, is just remember, you’re not your patient. And so, your preferences may not be that of your patient. And so, one of the things that we’ll talk about a little bit later on in this episode, in terms of the processes, asking about electronic communications, getting permissions from your patients, that’s something you should be doing when they first come into your practice and fill out their paperwork, you know, the first time they come in to see you for a consultation or for their first appointment. Garrett Smith: 04:43 Second of all, we’re not suggesting that you spam patients. More often than not, I recommend a minimal amount of email communications, but a minimal amount is much better than none at all. Sure, people out there are used to their favorite retailer, you know, sending them an email every single day. I don’t think that’s appropriate for most private practices. I think, at most, a weekly newsletter that either has, you know, some educational content or some coupons and offers is appropriate. Garrett Smith: 05:10 More than likely, once a month to your entire patient base, whether they are prospective patients or previous patients, is probably adequate and can be very effective in keeping you top of mind to help generate more word of mouth and friends and family referrals, or reactive old patients who maybe haven’t come in and seen you for a while. Don Lee: 05:28 Yeah, the other thing that I thought of when you were going through that, and you just reminded me again, is the whole permission concept. And I don’t want to, like, I don’t want people to think about that as a, a throwaway, like, “Oh, I’m going to get them to check the box on the form at the beginning,” right? This is like, it’s an ongoing permission, so over time, if you do this for a while, your emails will be going explicitly to people who continue to give you permission to send that to them, because everybody knows how to unsubscribe, and if they’re sitting on your mailing list week after week after week, they’re choosing not to, and therefore reaffirming that they want to get that content from you. Garrett Smith: 06:02 Absolutely. I mean, permission is key. The other thing to remember is that, you know, as your patient demographic moves into younger generations, there’s more of an appetite for electronic communication and less of an appetite to talk on the phone. They prefer emails, text messages, you know, social messaging to sort of the preference of a lot of patients who are a little bit older, which is to, you know, get on the phone, or even just walk in in-person and, and do this sort of thing. Garrett Smith: 06:26 So, I think you really got to look at a couple things. Everyone’s checking email. The younger they are, the more likely they are to prefer that as a communication. And also, once you get permission, you can email them in a multitude of different mediums, and there’s a lot of, like, really interesting time-saving, cost-saving, even revenue-boosting things that you can do with email once you’ve got that permission. Garrett Smith: 06:51 Pro tip number one. Email marketing is currently the easiest and least costly way for you to market yourself and your practice. Don Lee: 07:04 All right, Garrett. So, I hear you. I see there’s an opportunity here. I get that. Email marketing is not just one thing, but is a very multi-faceted, there’s a lot of different things we could be doing with it. And, I hear you that it’s a cost-effective way, which, you know, obviously, every practitioner is looking for cost-effective ways to get things done and to communicate with their patients. But, why do I really need to do this? Like, what am I going to be able to accomplish by utilizing email marketing? Garrett Smith: 07:30 Yeah. It’s obvious that, and even if you just know a little bit about email, or you’re a patient or a customer yourself, I’m sure you’ve been emailed, uh, lots of different things. And so, the first, first and foremost, what I look at when it comes to email marketing is I, I don’t tend to think about the revenue side or the promotional side. I actually tend to think about the idea of saving time and cutting down on human error inside of your practice. Garrett Smith: 07:53 And so, you know, a lot of what I, I end up doing when I’m talking about email marketing is like, “Okay, how can we use email to automate some patient alerts?” You know, are there things that happen, an easy example is, you know, with birth date, it’s time to come in for an annual checkup, items like that that are easy for a human to forget or difficult for them to forget, you can always use email to automate sending those alerts to patients. Garrett Smith: 08:16 The next thing that you can do is you can start to send out things like a appointment reminders, which will end up cutting down on no-shows or patients who show up late and end up wrecking your schedule for the rest of the day. And so, first and foremost, I think your practice should be using email marketing in, in a multitude of forms, because it’s really going to help you save time. Uh, it’s going to help cut down on human errors, and even, right, uh, boost your practice profits and revenues if you’re getting more promotional with things. Garrett Smith: 08:42 Now, outside of that, I really like email marketing, and, and I think the reason other online and internet marketers like email marketing is it’s a bit of a, you have a captive audience. That’s your list. It’s unique and specific to you. And, you don’t have as much clutter around emails as you do other online forms, such as social media, search, and even third-party websites, where on all three of those channels, oftentimes your content is side-by-side with a competitor. Uh, it’s very rare that one patient would get two emails from different practices with the same kind of content and ideas. And so, really, you’ve got a nice, captive audience from which to send your educational information, your different messaging and communications, or even offers, discounts, coupons, those sort of things. Garrett Smith: 09:31 You know, finally, private practices tend to be very cost-conscious, Don. And, and so, I’m always being asked, “How can we lower the cost of marketing? How can we bring patients in at a lower price? How can I lower my overall overhead, if I can?” And so, really, I think email marketing is really perfect for any size practice, but if you’re just getting started, or if you’re a small practice, uh, a solo practitioner, I think email marketing is the thing that you should be putting a lot of focus on. Garrett Smith: 10:01 So, so really, after you’ve got a great website, after you’ve claimed all those online doctor directory and business listings, and, and of course, you’re taking care of your online ratings and reviews, emailing your patients is really a great way to keep in touch, but also to drive new patient appointments. Don Lee: 10:19 So, it’s really not just about marketing to … or, it’s not just really about, it’s not so much about marketing to potential new patients, and it’s not so much marketing to sell, as much as, it sounds like, you’re pitching this as a way to manage your ongoing communication with your patient, your ongoing relationship-building or relationship-maintenance with your existing patients, and then, you’re also pulling in other aspects of the business. That it’s not really so much marketing anymore as much as you’re taking a marketing tool and using it to streamline some of your other operations completely outside of the marketing world. Am I hearing that right? Garrett Smith: 11:01 That’s correct. I mean, two things on that point. One is that, to me, everything is marketing, because every touchpoint, uh, a patient has with your practice is a part of marketing. And so, even things such as, you know, what do you your forms look like, and what questions you’re asking, down to, is your patient getting a nice, friendly greeting from the practice on their birthday, or are they being told, or are they getting a reminder that it’s time to come in for a checkup or their next appointment? Garrett Smith: 11:27 I think that that is all part of patient experience, and that’s a big part of marketing. And so, I think one of the things that turns a lot of private practices off to marketing is they tend to think of it as used car sales, very promotional. And so, with email marketing, it’s so versatile, it’s so flexible that these are really things that just help your practice operations, first and foremost, and then, you know, there’s the added benefit that you can promote yourself and your practice. Garrett Smith: 12:23 You know, so, if, if your patient’s getting some fun and friendly educational information around orthopedics every month, and they’re at the water cooler at work, and a friend just got into an in- had an injury over the weekend, that email that they got from you in the past couple of days may be the reason that they tell their friend to go check you out, right? Don Lee: 12:40 Yeah, absolutely. Garrett Smith: 12:41 And so, again, really, at the end of the day, I think just because practitioners are not familiar with email, maybe because they don’t like to get emails or send emails, doesn’t mean that it’s not a, an effective tool for to help with patient experience, to help with marketing, but also, just, I think the biggest point is, it can really help you with your operations. Don Lee: 12:58 Yeah, right on. And it’s, uh, it really goes with a theme that I think’s been ongoing throughout the course of this podcast is that marketing as a service. Like you said, used car salesman. It’s not marketing to say, “Hey, look at me, look at me, look at me,” but this is like, how do you use this tool to actually serve your patients better? And, I think that opens up a whole new realm of possibilities, when you start thinking about it that way. Garrett Smith: 13:23 Pro tip number two. Email is an extremely versatile channel which you can use to automate mundane communications, educate your patients, and even remind them to come in on time for their next appointment. Don Lee: 13:38 All right, Garrett, so, you’ve got me convinced. There’s a lot I can do here, and now, I want to get started, so how do I do that? What’s the best place for me to open this up? Garrett Smith: 13:46 Absolutely. Well, as we started this show, we talked about this idea of the list. And so, first and foremost, when it comes to email marketing in any form, what you’re really going to want to do is first make sure your data is accurate. A lot of human error happens transcribing what’s written on an intake form into the EHR or the EMR. And so, it’s a good idea to, if the, the list is manageable, manually go through that and make sure that there’s no obvious misspellings or errors. There are also services out there where you can upload the list and they’ll, you know, spit back whether the address is still valid or there’s an issue with it, and then you can kind of investigate those in kind. But, you’re only as good as your list. Garrett Smith: 14:26 Now, once you’ve got this accurate list of patients, obviously you’re going to also want to make sure that you have the necessary permissions to send them these electronic communications. Again, this is a great, this is something that you should be doing during the patient intake process, and, and really make it part of your forms. Garrett Smith: 14:44 If you’ve got that all the way, you’ve got a list, you’ve got your permission, really, you want to kind of sit down and plan email in totality. So, what types of emails do you want to send? Is it going to be a monthly newsletter with educational information, or is it discounts on services, or maybe you want to go ahead and automate patient reminders, because it takes a ton of time for someone at the front desk every day to make those phone calls? Garrett Smith: 15:08 With that in mind, really, regardless of where you go, one of the things that you’re going to want to do when you’re getting started is to make sure that your emails are personalized. So, you’re going to want to use, you know, the patient’s first name. You’re going to want to try to pull in any f- other data that makes it look like this email wasn’t just sent to thousands of other people, even though I’m sure most patients know that it was. I believe they appreciate the attempt. Garrett Smith: 15:33 And, the other thing that a lot of people forget is, a lot of patients are viewing this on their mobile phone. I know that a lot of practices, practitioners, practice managers, they’re either looking at things on a, on a desktop, a laptop, or a tablet, where you’ve got a lot more real estate and room. On mobile, you don’t, so brevity is key. A lot of shorter sentences and paragraphs with links to supporting articles or other information, if someone wants to explore, really making sure your communications are easy to scan and consume. Garrett Smith: 16:01 And so, outside of that, once you got to the point where you’re actually creating these personalized email communications, regardless of the type of email you want to send, make sure you have a strong call to action. You’re not just sending emails because Garrett and Don told you to. You’re sending them because you want your patients to do something after reading this email. And so, always keep that in mind. Garrett Smith: 16:24 You know, one last thing when it comes to getting started with email marketing is, it’s a really, it really, it’s a great idea to offer patients the ability to choose which emails they’re going to receive from you. You know, sometimes, patients do feel overwhelmed with the number of emails they get in general, and so, they may want to choose whether they want a patient appointment reminder via email, or whether they want to get promotional emails, or maybe they just want to get educational emails. So, offering that a- that ability to choose, and then also making it easy to unsubscribe if they no longer want to hear from you are two really great best practice for anybody who’s, who’s trying to get started with email marketing. Don Lee: 16:59 So, it sounds like the best way for a practice to build their, build their email list is with their existing patients, and as they’re signing up, and as they’re signing up on, and, you know, they can check that box on the form, and everything else. So, what if I’m hearing this for the first time, and I’ve got a patient panel, and I haven’t done that? What would you recommend I go do now to get my existing patients’ permission kind of en masse? Garrett Smith: 17:24 Yeah, so, there’s two things that I think you could do. One is, the next time they come in, ask, and make it a point to the front desk, and maybe even tie it to a, a reward. So, you know, incentivize, you know, the number of new patient email addresses they’re able to capture during a month. You know, make it a little bit of a game, give them a little, you know, a Starbucks or Amazon gift card for doing a good job with that. Garrett Smith: 17:43 You know, the next thing is if you’re really committed to email marketing, and you have the time, I’d just put a body on calling in and letting patients know that, you know, the practice is now going to start, uh, sending out various types of emails. You know, you’ve been a great patients with u- with, with ours, uh, we want to understand if you’d be interested in receiving these. All we need is your email address. Garrett Smith: 18:01 That’s a little aggressive for the average private practice, but again, I would argue that calling a patient and just saying hello and letting them know that new things are going on with the practice is a great marketing touchpoint as well, so, maybe you get the opportunity to, uh, do two things at once, right? And, those are really the ways to do it. Garrett Smith: 18:18 Other ways that you could also boost your list, you could always put, you know, like a subscribe box or form on your website, so as your website begins to get lots of traffic from search, and social, and other advertising campaigns that you may be doing, some patients may not actually be interested in coming in for an appointment today, but they like what they saw enough that they want to stay in touch, and so they’ll give you their email address in exchange for promotions, offers, educational information. And so, that’s a way that you could augment that. Garrett Smith: 18:45 So, unfortunately, there’s no quick and easy way. You’re going to have to spend some time if you don’t already have this information, but those are the two most straightforward ways to get that email a- address information. Garrett Smith: 18:58 Pro tip number three. Your practice can get started with email marketing simply by making sure you have an accurate list of email addresses for patients who have agreed to receive communications from you and the practice. Once you have your list, it’s up to you to choose the types of emails you want to send. Don Lee: 19:17 Awesome, Garrett. That was a great take on the email marketing front. What’s coming up next on the show? 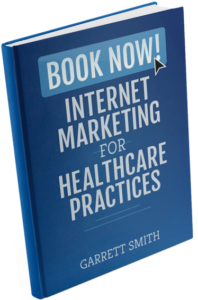 Garrett Smith: 19:21 On the next episode of the “Practice Marketing” podcast, we will discuss how you can build your brand and interact with patients using social media. See you next time. Speaker 3: 19:31 Thanks so much for listening to this episode of the “Practice Marketing” podcast with Garrett Smith and Don Lee. If you enjoyed today’s episode, please leave a review and subscribe. And, for more great content and to stay up-to-date, visit inboundmd.com/podcast. We’ll catch you next time. Garrett Smith: 19:49 Hey, everyone, Garrett, here. For more information about communicating and educating with email marketing, check out chapter eight in “Book Now: Internet Marketing for Healthcare Practices”, available at healthcaremarketingbook.com.